Weekend is coming and I plan to own it. That means I need to plan these next two days carefully and stick to the plan. Late-ish night tonight with cardio at the gym after so I can sprint out early on Friday. 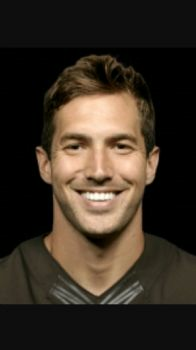 Tonight is football and my adorable TE Jordan Cameron (not Cameron Jordan lol) is playing. I will gasp my way through some of the SparkPeople 500 calorie treadmill workout. Goal today is to complete one circuit. Lord save me. Also, get mamma some points Jordan, I am falling behind in my league. I am part of the skinny jeans challenge and one of the exercises was so horrifying that I just could not do it in public--something akin to laying on your back and doing wide splits like an animal in heat. I am not doing so well on the challenge right now but I *am* doing really good elsewhere in my life! Tomorrow is Friday and nothing will stop me from leaving at 5 o'clock sharp to start that weekend!